Ethan Lewis has been in the bright lights for as long as he can remember. He’s just turned the cusp of celebrating his twenty-fourth birthday, and yet he feels more like eighty. Living the life of a celebrity isn’t all it is chalked up to be, and dealing with the unruly number of women who are more interested in his billions than who he is as a person is getting old. He has resigned himself to giving up on love and focusing on the only thing that truly gives back – his career. 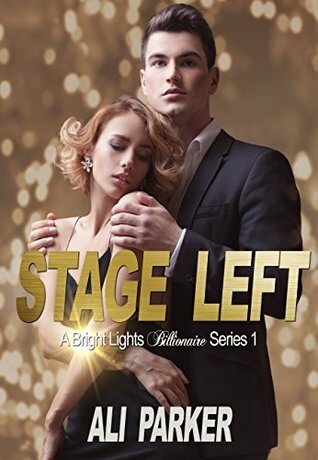 Riley Phillips has always dreamed of being on a big stage with the warmth of the spotlight baring down on her, but she just couldn’t seem to catch the right agent’s attention. After giving a quick commencement speech as Valedictorian of her graduating class at Billmore High, she’s offered something she can’t refuse… The chance to work in Hollywood. It’s not all it’s chalked up to be, but she works hard and finally gets her big break four years down the line. There is a new movie that her agent wants her to audition for, and her co-star? The dreamy Ethan Lewis. She scores the part, but soon regrets it due to his callous, overbearing persona. He’s nothing like the public touts, and she for one isn’t impressed. Funny enough, he is – immensely. Grab yours today for FREE! 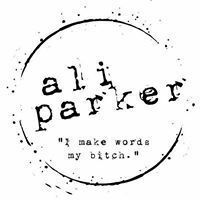 Ali Parker talks about being an indie author and loving it! I think from a young age I’ve always been independent, always looking for a way to forge a new path and climb a steep hill and do it mainly on my own. I think like most Indies, I started by trying the traditional route and after loads of rejection, it was just easier to forget it. A few friends of mine are making it big in the indie world and have reluctantly pulled me into it as well. I will tell you that it’s the best decision I’ve ever made. I’m not a superstar, but a story teller – which is all I ever wanted to be. I set my schedule, write what I want, love on you guys by giving away whatever the hell I want to and life FEELS right/good. Let me tell you why else I love being Indie. 2. I can spend as little or as much time, energy and money as I want. Obviously the more I put into it, the more I’m going to get out of it, but that’s with anything in life. The cool part is that if I’m a good editor or if I can design my own cover, then those are costs to be saved and skills to be used. 3. I belong. In a world of independent authors I find myself fitting in just perfectly. We all work hard and dream big and the encouragement is beyond belief. I don’t have to write a certain genre or stick to a certain structure in the plot. I simply write, promote and support and honestly feel great about myself at the end of the day. Being an Indie author, to me, doesn’t really have anything to do with being Independent though. It’s a statement that says I’m capable of making every step along this book writing/producing platform to take a dream from start to finish. The truth of what Indie authors are doing is showing the world that there still exists hope. Hope to dream big and work hard to make that dream a reality. That’s why I love being Indie! Ali Parker is a full-time contemporary romance writer who left a life in Corporate America to try out living a dream. She loves coffee, watching a great movie and hanging out with her hubs. By hanging out, she means making out. Hanging out is for those little creepy elves at Christmas. No tight green stockings for her. Thanks for picking up a book! !